Our family run business comprises of the organic farm, self-catering holiday accommodation and a training and party venue called the “Aeron Centre”. Today, Treberfedd Farm is a peaceful retreat for families and friends, where you can explore centuries of history across 67 acres of untouched meadowland. But at our heart, we’re still a working farm. We cultivate the lush meadowlands around the Aeron Valley and breed traditional farm animals the way it’s been done for hundreds and hundreds of years. So where did the name ‘Treberfedd’ come from? Well, roughly translated from Welsh, ‘Tre’ means ‘place’ and ‘berfedd’ means ‘at the middle’. So together, the name ‘Treberfedd’ means ‘place at the middle’ or, more poetically, ‘the heart of the home’. Mrs Jones, who lived on the farm in the 1930s, said that one of Treberfedd’s fields represents the exact middle of the county. And we do actually lie 7 miles from Aberaeron, 7 miles from Lampeter and 7 miles from Llanybydder! The Thatched Cottage that stands at Treberfedd today was built sometime before or during the 1600s. Once the cottage was built, Treberfedd seems to have carried quietly on for another century and a half until the early 19th century. In 1802 the single storey cottage was extended and improved, creating a larger space with a beautifully modelled Georgian frontage, symmetrical chimneys and the same thatched roof that we have today. Restoration work on the house in 2002 uncovered some wall paintings dating back to around 1650. 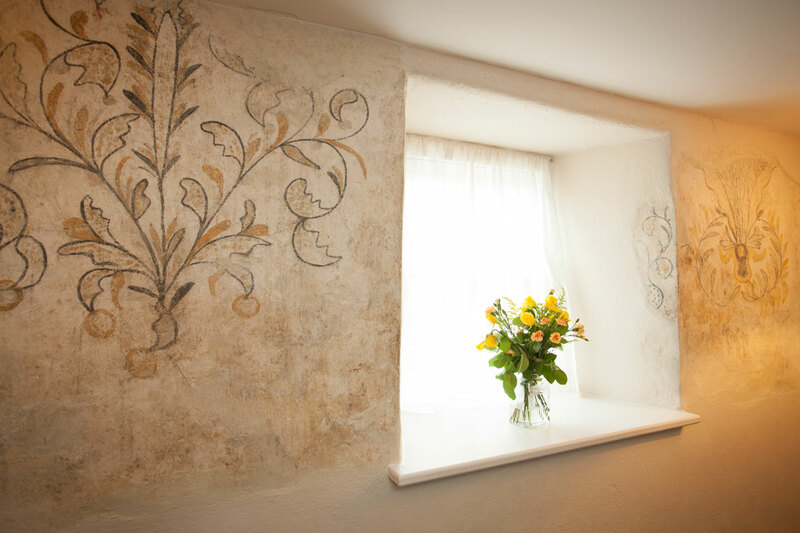 The murals were painted using plant-derived pigments in a floral motif style which was very fashionable in the 17th century. There are similar examples dating back to the same period on church walls in and around the South and East of England. The murals may well have been created by a travelling artist passing through Aeron’s Vale, who could be hired to paint the interior walls of people’s homes. There is a long history of farming at Treberfedd; the farm itself dates back to at least the 1400s. A tithe map from 1480 provides the first available record of a farm worker’s cottage called ‘Treberfedd-Fach’, meaning ‘Little Treberfedd’, next to a farming settlement. Treberfedd was originally a tenant farm owned by a large estate, so in those days, a lot more people would have been working the land. A receipt in the National Library of Wales shows that the farm was actually once lost to another estate in a game of cards! The principle farming type on Treberfedd in the 1400s would have been the same as it is now, with cattle and sheep grazing on the lush pastures of Aeron’s Vale. The subsistence lifestyle would have included small scale production of vegetables, cereals and poultry. The farm’s woodlands would have been very important too, offering the materials to make everything from shoes and tools to furniture and sheep hurdles, as well as providing fuel and food. Our knowledge of the inhabitants of Treberfedd Farm dates back to the late 19th century, when the Vicar of Dihewyd lived, farmed and prayed at what is now Treberfedd’s Thatched Cottage. We even know that his study in the farmhouse was where the bathroom is now; it was there that he wrote his sermons in peaceful solitude, overlooking beautiful Aeron’s Vale. In fact, we still have the hatch which was used by the servants to pass the Vicar his meals from the kitchen. From the late 1930s to 1977 the farm was home to the Jenkins brothers. Together, they farmed 140 acres of land and produced milk, beef, lamb, pork, vegetables, cereals and eggs. Before the war, the Jenkins’ ran a city dairy farm in London. In the summer, the cows were allowed to graze on the pitch at White Hart Lane, the home of Tottenham Hotspur football club! During their time in London the brothers learnt jazz music and tap dancing and, after their return to Treberfedd Farm in 1939, the brothers became famous local musicians. They were well-loved characters in and around Lampeter, performing their jazz piano and singing in all the pubs. Following the Jenkins brothers’ retirement, the land was used as a dairy farm until 1999 when Farmer Jack and his family found the property and fell in love. The family has worked together over the last few years to carefully restore the original thatched farmhouse and convert the traditional stone barns into our holiday cottages. 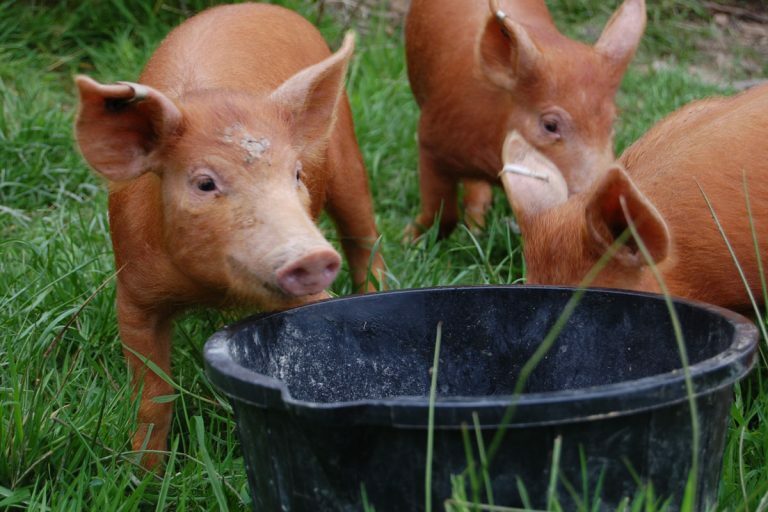 At Treberfedd we farm according to organic principles. We do not use artificial fertilisers or pesticides on the land or crops and follow strict organic standards. 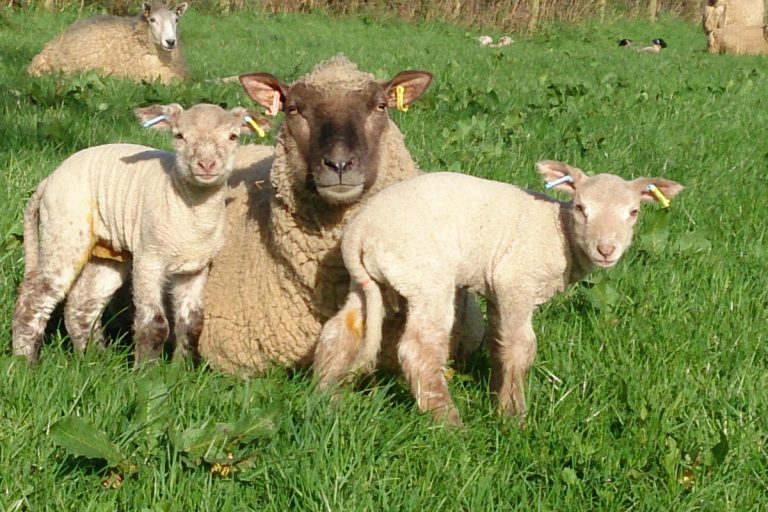 Llanwenog are the perfect breed for smallholders as they’re attractive looking, docile, maternal and, thankfully, not escape artists like so many breeds of sheep! 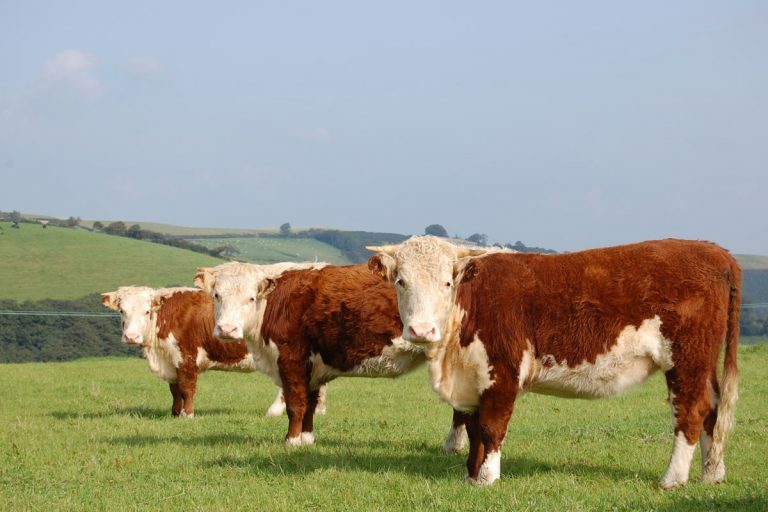 Our cattle are described as ‘Traditional Herefords’ because they are the pure breed which originated from the English/Welsh borderlands.